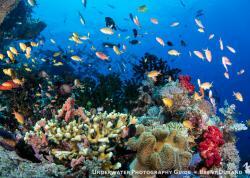 Anilao has a way of capturing the attention of even the most veteran dive travelers. 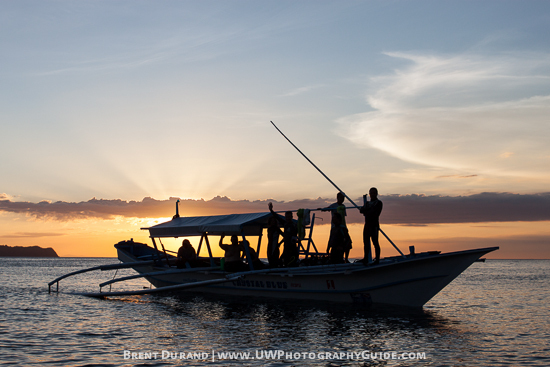 It might be dropping into the water on top of a rare critter, the setting sun igniting sparse clouds in electric pastel color as you roll off the bangka or the non-stop macro photo action of each dive. 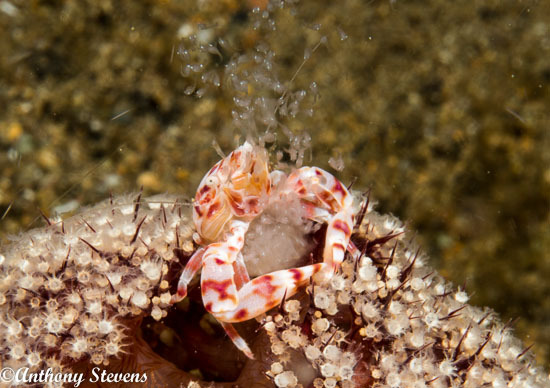 Anilao is a destination that should be at the top of all critterheads' and macro photographers' wish list. Bluewater Photo knows this and has been hosting April/May workshops at Crystal Blue Resort the last 4 years. 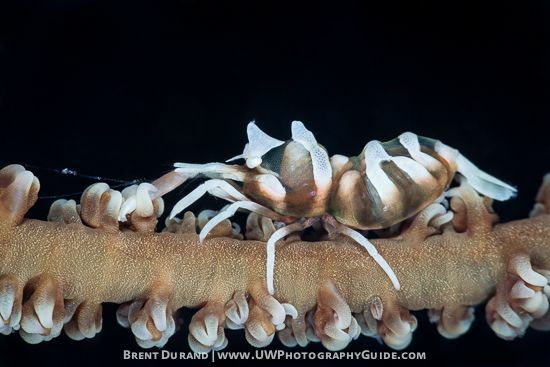 I was fortunate to join Bluewater Photo owner, Scott Gietler, and Bluewater Photo Pro / CBR resort manager Mike Bartick, to help host this year's back-to-back 10 day workshops, each with fantastic guests enthusiastic to dive and shoot photos. I can confidently speak for everyone in saying we had a great time, learned a lot and captured many great images! 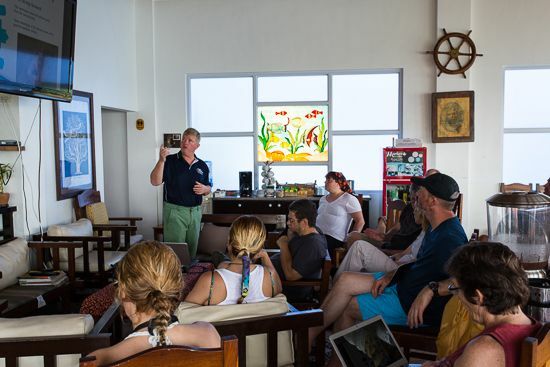 The photos from all guests grew increasingly better throughout the trip regardless the experience level - no doubt a result of 4x long dives per day and applying freshly-learned photo techniques. What did we see? Well, too many critters to keep track of, including Frogfish, Hairy Frogfish, Blue-Ringed Octos, Flamboyant & Pygmy Cuttlefish, Pipedragons, Robert / Ornate / Velvet Pipefish, Mantis Shrimp, Crabs, Sea Snakes, Bobbit Worms, Mimic and Wonderpus Octos, Squid, Gobies (including Hairy Gobies), Tiger, Harlequin and Bumblebee Shrimp, countless nudibranchs, cleaning stations, eels and much more. 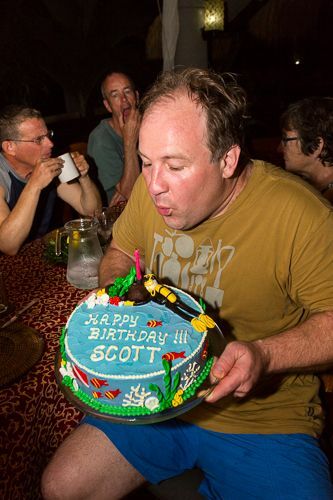 Below is a small sampling of photos from Scott, myself and others. 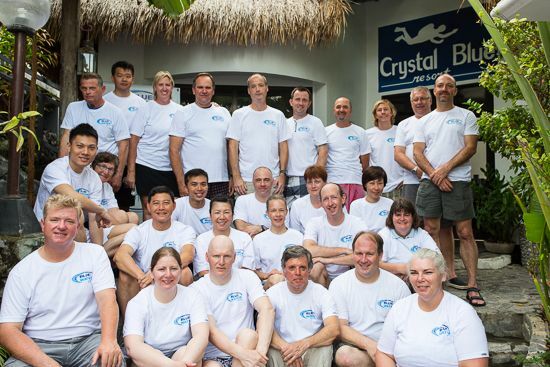 If you can't make any of our annual workshops, Bluewater Travel can still help you book the perfect Anilao dive trip for yourself or a group of friends for the same or less than booking direct. 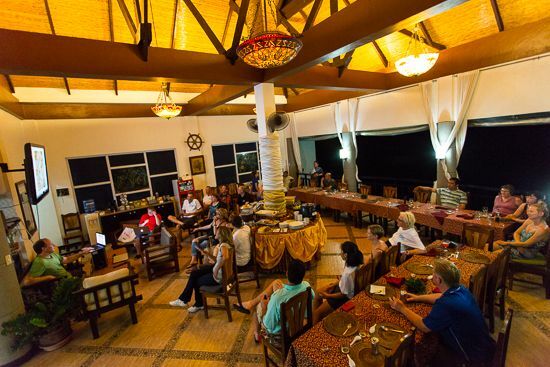 We know Anilao better than anyone else and can advise where to stay, where to dive and when to go. 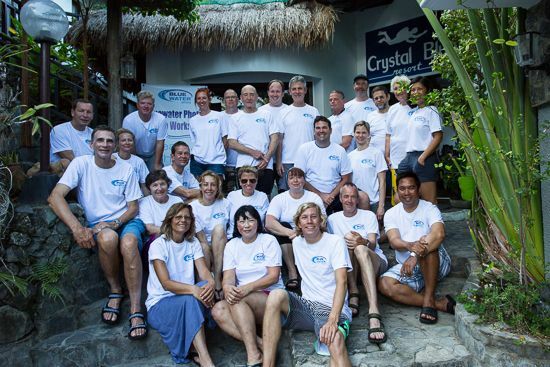 We work with several of Anilao's best resorts. For more info and to plan / book your trip, email Katie at Bluewater Travel. 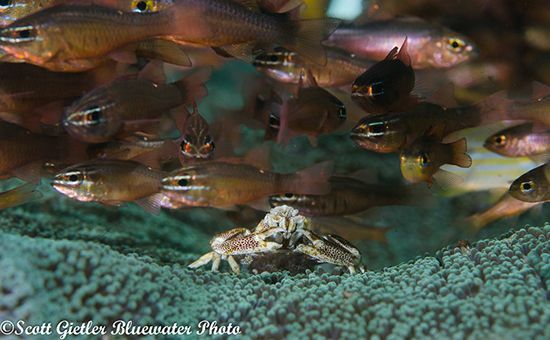 Crab and Cardinalfish. Nikon D7000, Nikkor 105mm Lens, Sea & Sea Housing, 2x strobes. Hairy Shrimp. 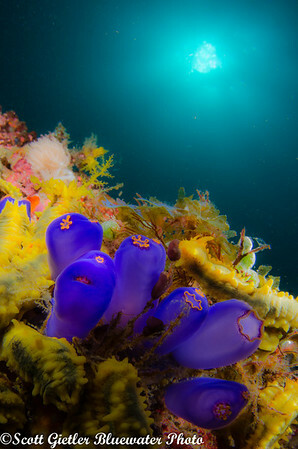 Nikon D7000, Nikkor 105mm Lens, Nauticam SMC, Sea & Sea Housing, 2x strobes. 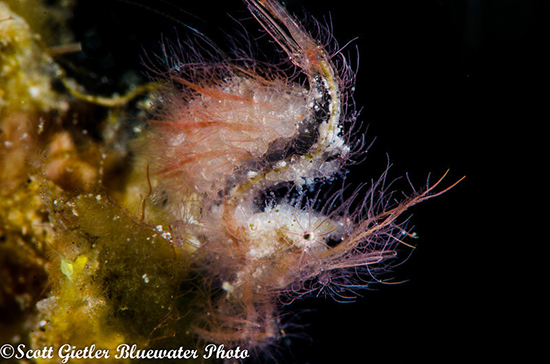 Hairy shrimps started becoming popular last year. They are TINY! There are several different colors/species, some are tiny, some are specks. 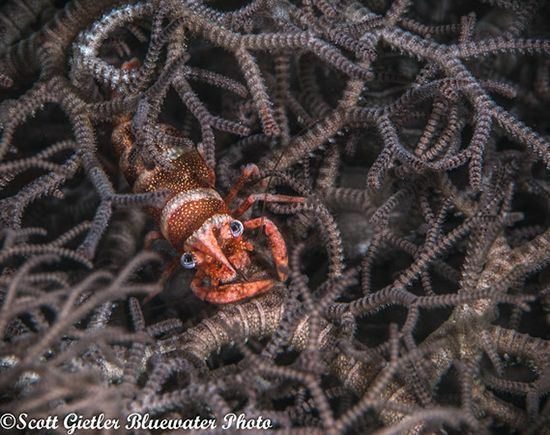 Basket Star Shrimp. 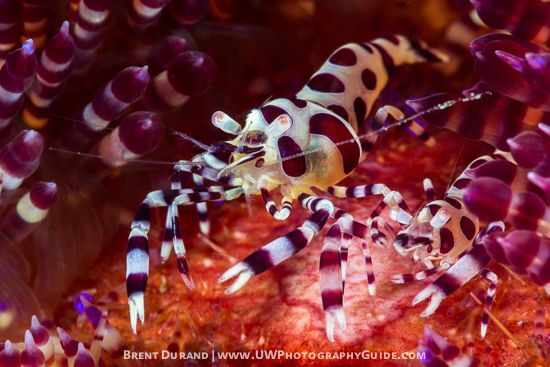 Nikon D7000, Nikkor 105mm Lens, Nauticam SMC, Sea & Sea Housing, 2x strobes. 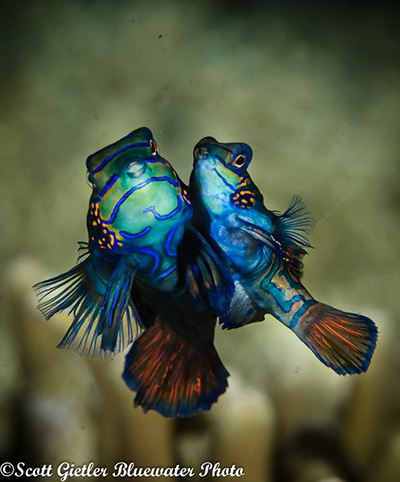 Mating Mandarinfish. Nikon D7000, Nikkor 105mm Lens, Sea & Sea Housing, 2x strobes. Mandarin fish mate only at dusk, for about 1 second and then quickly drop back into the coral. Clownfish and sunburst. Nikon D7000, Tokina 10-17 Lens, Sea & Sea Housing, 2x strobes. 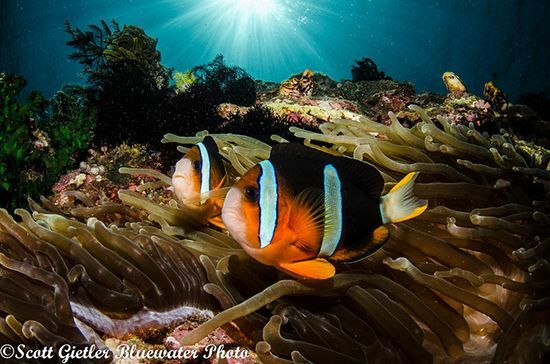 They are plenty of different clownfish & anemone species at most of the Anilao dive sites. 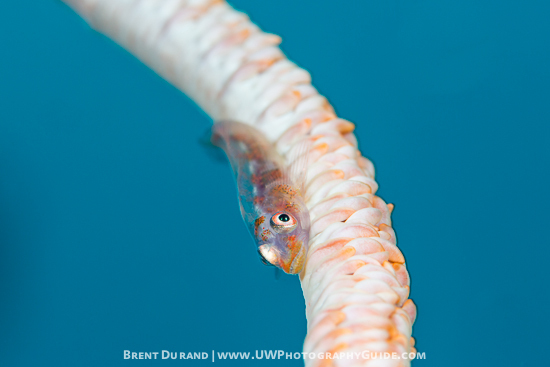 Wire Coral Goby. Canon 5D Mark3, Canon 100mm Lens, SubSee +10, Aquatica Housing, 2x strobes. Coleman Shrimp. Canon 5D Mark3, Canon 100mm Lens, SubSee +10, Aquatica Housing, 2x strobes. 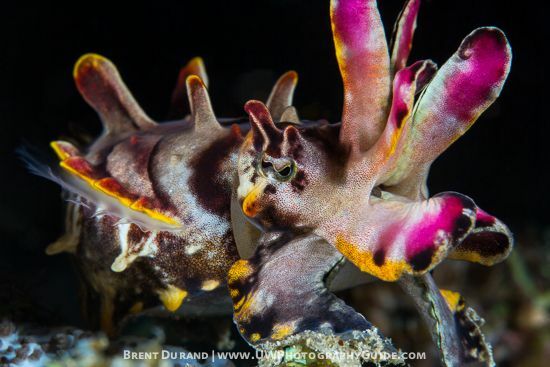 Flamboyant Cuttlefish. Canon 5D Mark3, Canon 100mm Lens, Aquatica Housing, 2x strobes. 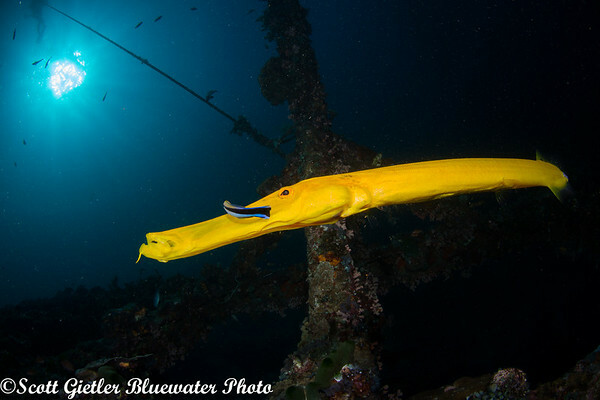 This species is found at several dive sites in Anilao. 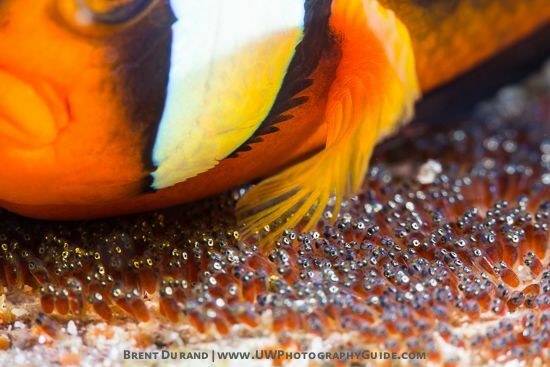 Clownfish oxygenating eggs. Canon 5D Mark3, Canon 100mm Lens, SubSee +10, Aquatica Housing, 2x strobes. 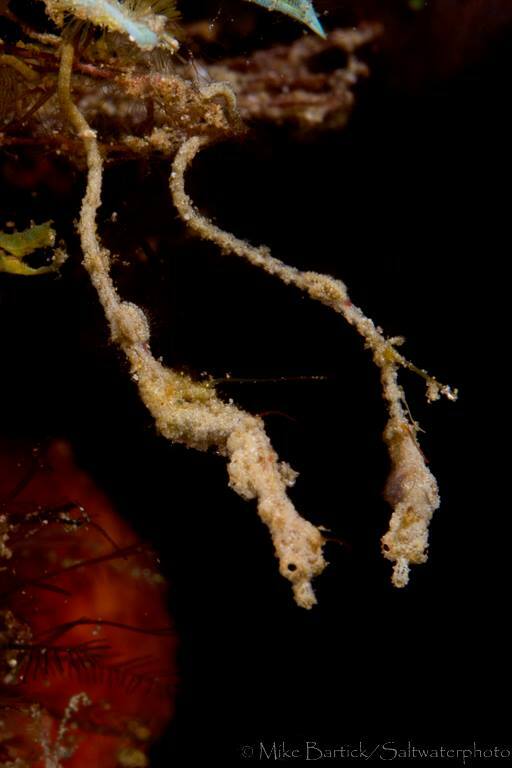 Whip Coral Shrimp. Canon 5D Mark3, Canon 100mm Lens, SubSee +10, Aquatica Housing, 2x strobes. 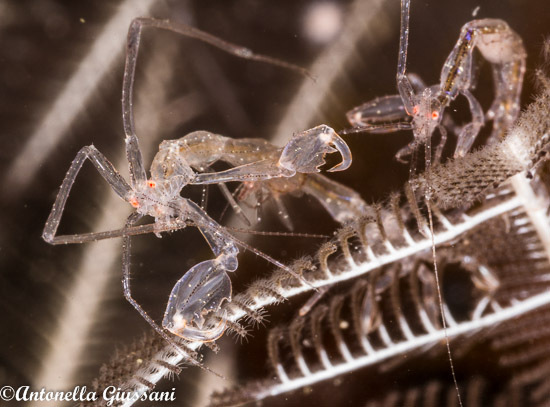 Incredible skeleton shrimp photo, taken by our guest Antonella Giussani. 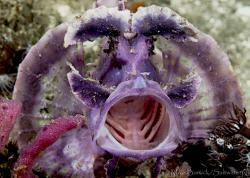 A "wow" behavor shot, captured by our guest Anthony Stevens with his new Nauticam E-M1 housing. A pair of pipedragons, photo by Mike Bartick. Tunicates and the sun. 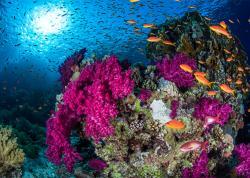 Anilao also has a lot of great wide-angle opportunities, including reefs swarming with anthias and corals. For more information on resorts and when to go, or to book your next Anilao trip, visit Bluewater Travel's Anilao dive resort page.